Mt. 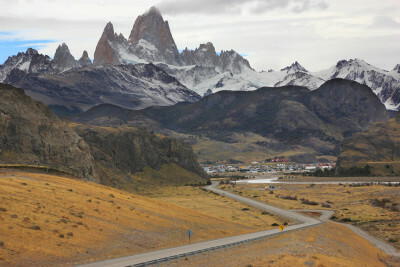 Fitz Roy - which had been covered in clouds these 3 days - finally made an appearance on my ride out of town. Absolutely spectacular landscape. Fairly short (though cold!) ride on pavement, then took the day to catch up on internet-y things.